Ignite The Plaza is a Milton / Ulladulla Rotary HarbourFeast event, held in conjunction with EscapeArtFest. MRTeam is honoured to participate in this local event and will have the race cars and custom built race car transporter on display for the evening. Tickets are $40 each and are limited. Tickets will be sold from Travelscene, Ulladulla Plaza, only! Commences 5.30pm and concludes 10.00pm. Ticket includes 4 course meal from all Plaza Eateries. Entree : Ulladulla Oyster Bar. Two Mains : Plaza Cafe and Ulladulla Palace, Thai. Entertainment on the evening will be the lovely Sarah Date, with Ronny Ellul. Funky Moves Dance Crew will also be performing a hip routine. 'Spring in the MUD' Art competition winners will be announced on the night. Morrellis Winery will be providing wine tasting on the evening. There will be several raffles through out the night, including a chance to win a whole dressed lamb. 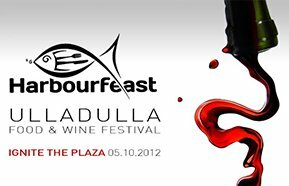 For more information visit the Harbourfeast website at http://harbourfeast.com.au or follow them on Facebook at https://www.facebook.com/HarbourFeastUlladullaRotary.